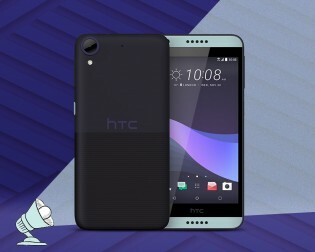 HTC released a new entry level phone in Taiwan - the Desire 650. It has a characteristic dual finish back - the top half is smooth, the bottom half has ridges. This will massively improve grip, but despite looking like one, this isn’t a rugged phone. Its claim to fame is the BoomSound audio and Hi-Res audio certification. The rest is less impressive with a 5” 720p screen (not even IPS). The phone runs Android 6.0 Marshmallow with HTC’s custom Sense skin on a quad-core Qualcomm chipset (not specified, but we’re hoping for Snapdragon 610, 410 is the less appealing possibility). The memory department includes 2GB of RAM, 16GB storage and a microSD slot. For photography, the HTC Desire 650 offers a 13MP camera (f/2.2) on the back and 5MP one (f/2.8) on the front. Both shoot 1080p video and support HDR. It is an LTE-enabled phone powered by a 2,200mAh battery, which promises to last 17 and a half hours of talk time and 5 and a half hours of browsing on Wi-Fi. 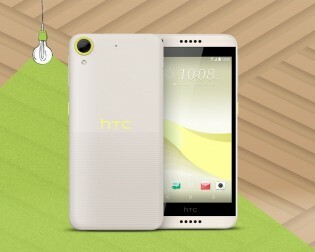 Note that the Desire 650 appears only on HTC's Taiwanese site for now and there's no mention of price yet. I tried the audio quality it's flagship quality, the screen is very good, camera is not bad and it feels really nice in the hand. Compared to my Deirse 530, massive improvement and the price should be similar.